 When you’re a Mom, being extremely busy is part of your job description. That’s exactly why we know how valuable a good assistant is! Now you probably have someone to help you cook, clean, run errands or handle calls, but what about someone to help with the dreaded boredom? Hmmm, that’s a tough one! But we’ve discovered something that makes things a 100 times easier – an assistant that’ll take a huge load off your pretty hands – the one and only Google Assistant! Got your full attention now, haven’t we? 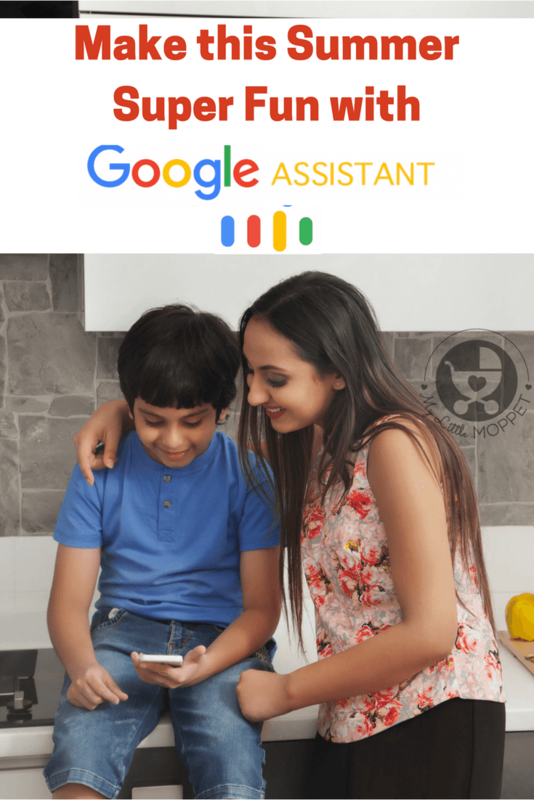 Yes, the brand new Google Assistant can help you and your kids have a great summer, with lots of activities to completely drive out the boredom monster. Whether it’s crafts, trips, recipes or learning something new, the Google Assistant is your new best friend! If you’re wondering how I can say this with so much confidence, it’s because I’ve tried it! 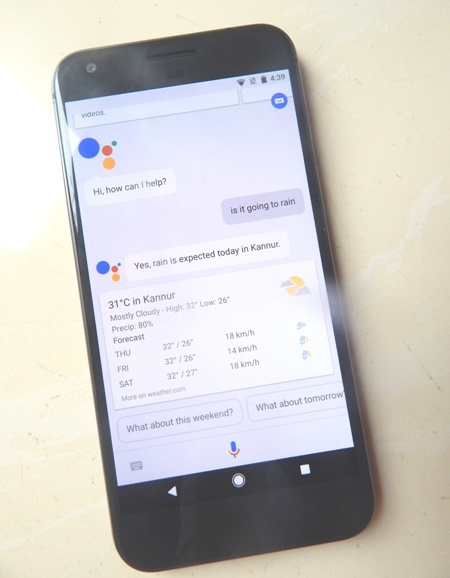 Yes, we got the chance to try out Google Assistant on a Google Pixel phone, and we were amazed at the sheer potential that was available! 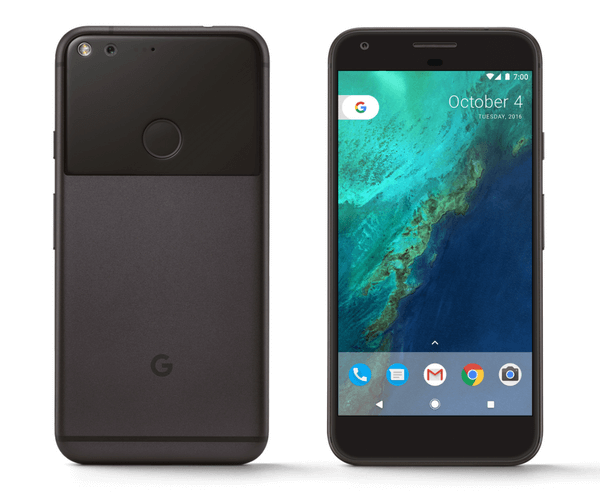 Depending upon whether you’re using a Google Pixel phone or the Allo app, there are different ways to launch the assistant. The assistant immediately comes up on a chat-screen with a warm ‘Hi, how can I help?’ Well, let me count the ways!! You just ask whatever you want, and the assistant immediately comes up with a solution. It’s impressive how specific the replies can be! The assistant will also open up apps for you, play music, create lists, jot down notes and set reminders – everything a real assistant can do! So we decided to put the Google Assistant to test. We had a day set out for a Mommy-son ice cream date at a newly opened ice cream outlet. Our first question to the assistant was where it was. It immediately brought up the full address. Just saying ‘directions’ brought out the map along with route instructions – cool! However, my 8-year old pointed out that it looked cloudy and might not be the best day for an ice cream date. We decided to ask Google Assistant to settle the matter for us. We asked if it was going to rain today and the assistant came up with a very specific response that yes, there were chances of thunderstorms in our area (which later turned out to be true). Since going outdoors was ruled out, we decided to make something ourselves right at home! 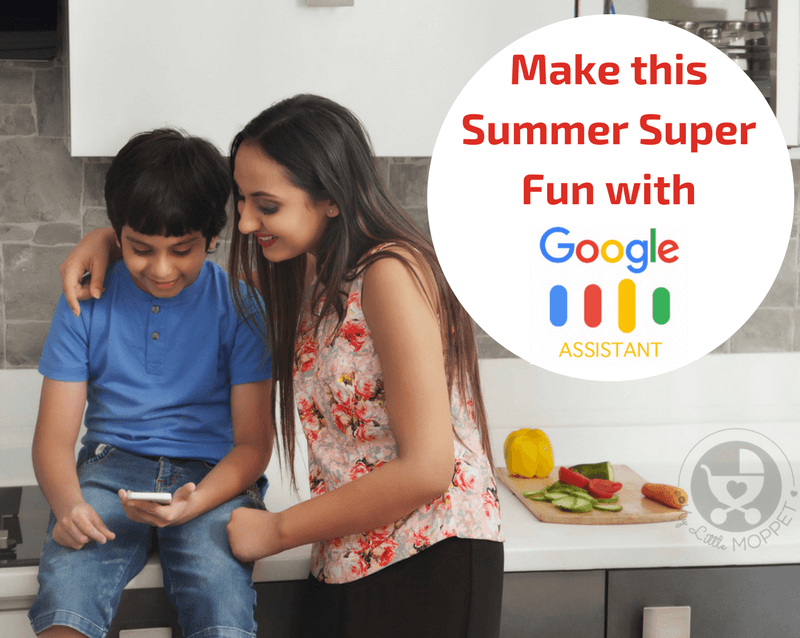 A Baking Activity with Kids – and Google Assistant! Okay, so baking it was! 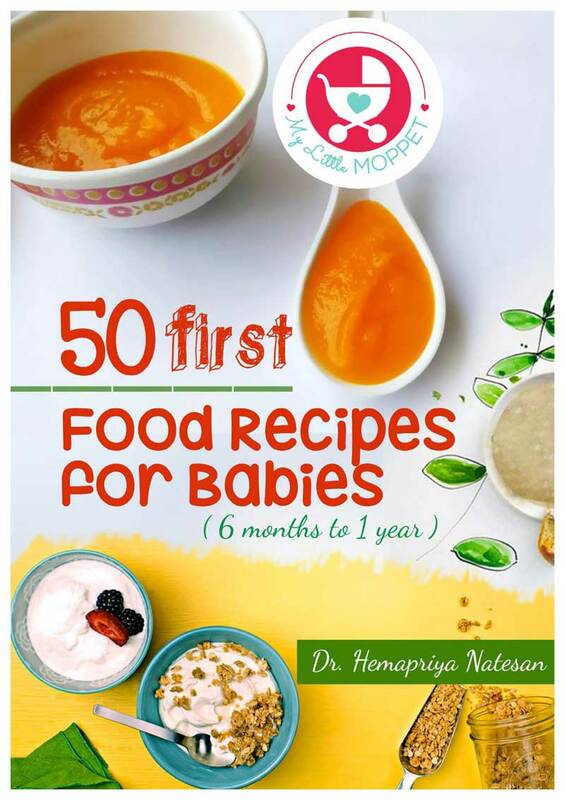 Since this was going to be a kiddie activity, I had to find a recipe that wasn’t too complicated. I decided that muffins were the best idea – there was no need of an electric mixer and basically involved mixing wet and dry ingredients. 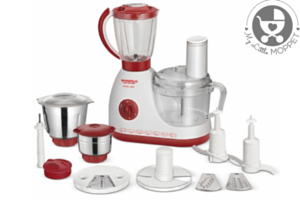 Moreover, we could make them healthy – two birds with one stone! I wanted to use up the ripe bananas we had, while my son wanted something with chocolate. So we went to the Google Assistant and asked it to show us recipes for whole wheat chocolate chip banana muffins and presto!! 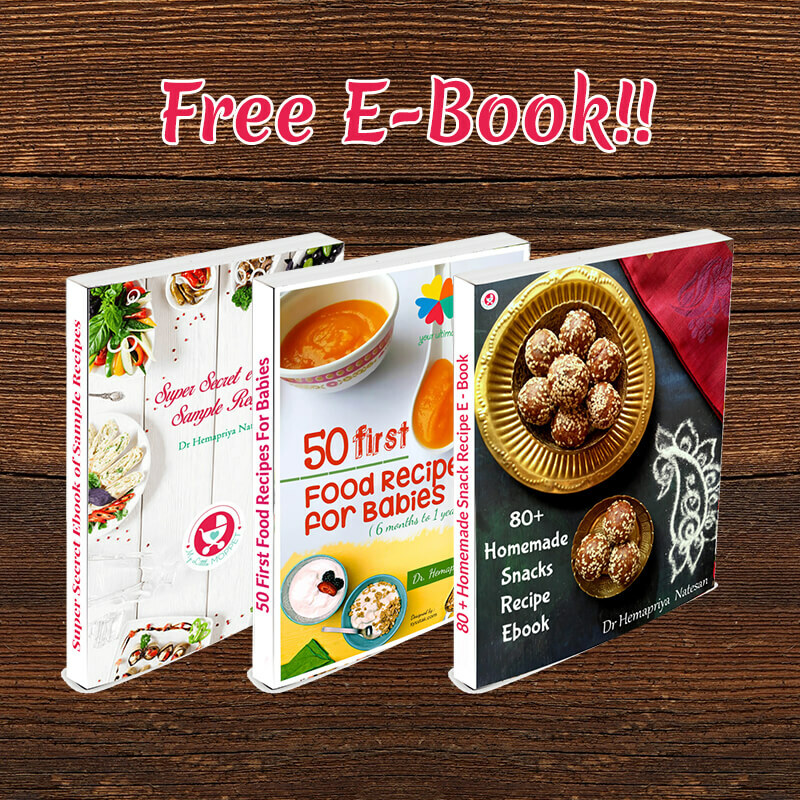 We got a variety of recipes to choose from! After we settled on the recipe, we checked out the ingredients and realized we were running short on a few things. 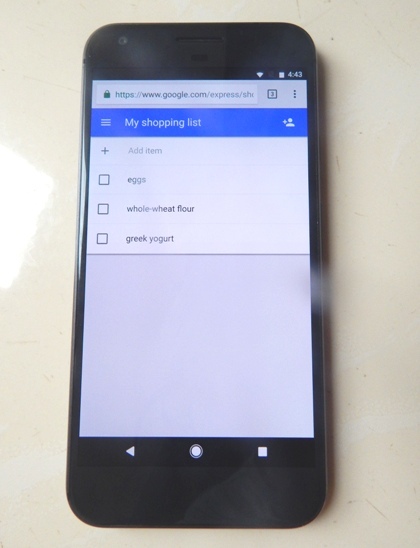 Not a problem; we promptly asked the assistant to create a shopping list for us to take on our next supermarket trip. Oh, but what were we going to do about Greek yogurt? 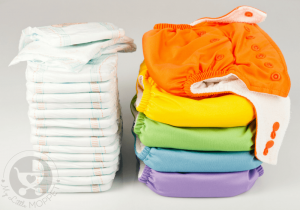 We asked our trusty assistant if it could find us an alternative, and turns out, it could! Some milk and vinegar did the trick! Okay, the ingredients were all ready; now it was time to preheat the oven. But our oven had settings in Celsius, and the recipe’s was in Fahrenheit. 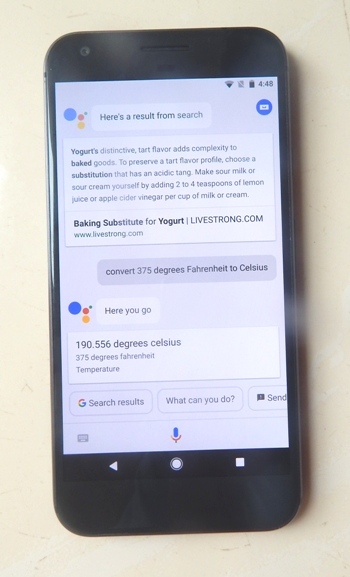 Well, these are but minor hitches when the Google Assistant is available to convert everything – all you have to do is ask! The batter was prepared and put into the muffin liners; the oven was preheated and ready. We put in our muffins and went to watch TV, but not before asking the assistant to set a timer – no one likes burnt muffins! When the time was up, the assistant gently reminded us and we ran to the kitchen excitedly. And there, fresh out of the oven, were beautifully brown muffins, with the lovely aroma of vanilla, banana and chocolate enveloping us all around! Sheer bliss! 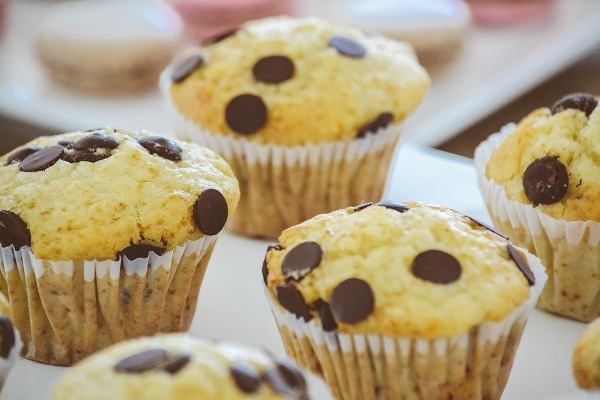 My son was delighted that he was able to contribute to making the muffins – not just by mixing ingredients, but by getting help from the assistant when needed! And this is just one of the many, many things you can do with the Google Assistant this summer. You can ask the assistant for help with learning a new language. 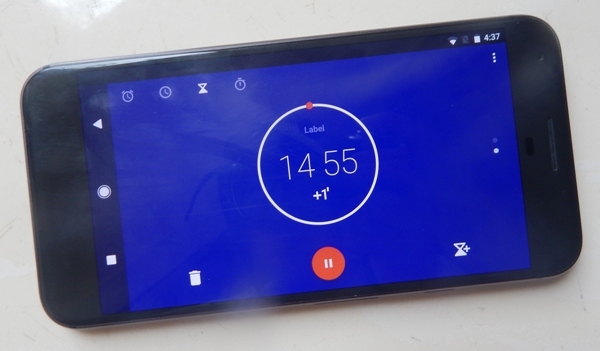 Ask for any tutorial on YouTube and the assistant will play the video for you – no need to swipe or press buttons or anything! 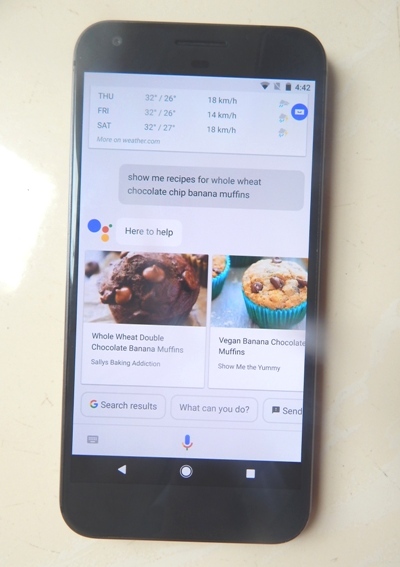 There are a lot of crazy things you can do with the Google Assistant too! Just tell the assistant ‘I’m feeling lucky’, and you’ll have a pleasant little game show – just for you! Ask the assistant for a joke and you’ll get a rib-tickler. And the most impressive feat of all? 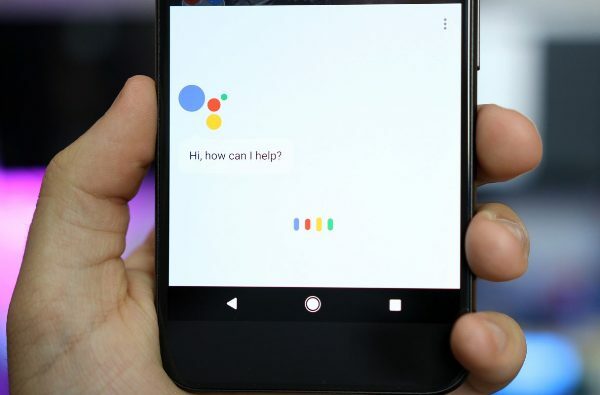 The Google Assistant has an answer for that dangerous statement too – just say ‘I’m bored’ and the assistant will line up a range of fun things to do! 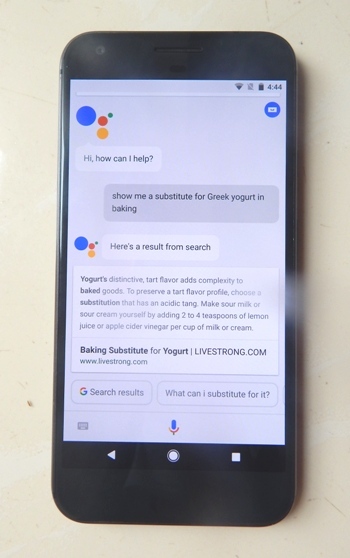 You can access the Google Assistant on a Google Pixel phone or by downloading the Google Allo app for Android phones with a version 4.1 and above. 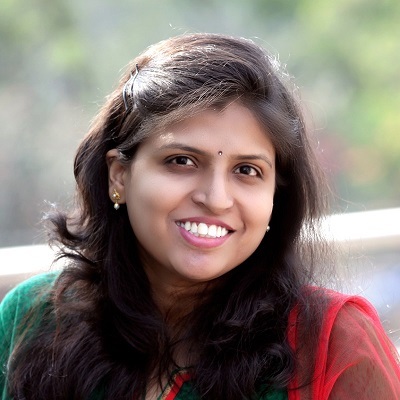 Just register with your Google account for a completely personalized experience where the assistant will refer to you by name. 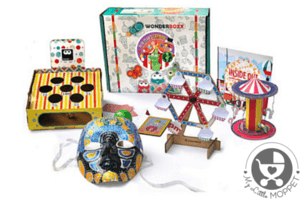 So this summer, don’t let the kids’ boredom scare you – you know that you have the perfect assistant by your side!